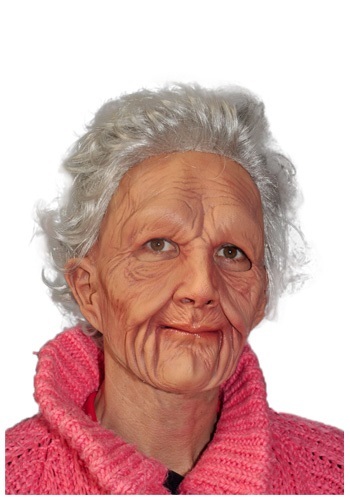 Old Woman Mask By: Zagone Studios for the 2015 Costume season. This detailed old woman mask makes a convincing disguise. Slip on your favorite cardigan and pair of orthopedic shoes and you'll be ready to enjoy your golden years right now!